At Leafcup, we are always interested to hear from outgoing, reliable people to work as chat hosts who can share their experiences and lead lively conversations with our customers. While we are predominantly looking for native English speakers, we also like to hear from people who are native speakers of, or fluent in, other languages as our customers sometimes like to practice languages other than English. Please take a moment to submit your information using the form below. 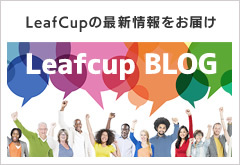 The Leafcup map information is located at the bottom of the page! We can unfortunately NOT accept applications from temporary visitor visa holders. “Please check all of the following times that you are available to work regularly (Please Check All That Apply). A regular shift is approximately three hours long. In the case of Japanese Citizens, please just write 'Japanese' in the Alien / Resident Card Number Field. Any date is acceptable for the expiry date. For holders of the following visas, a working permit is required to work at Leafcup. If you do not have a number on your working permit, please input "Stamp Only". For holders of other visa types than the ones listed above, a working permit number is not required.